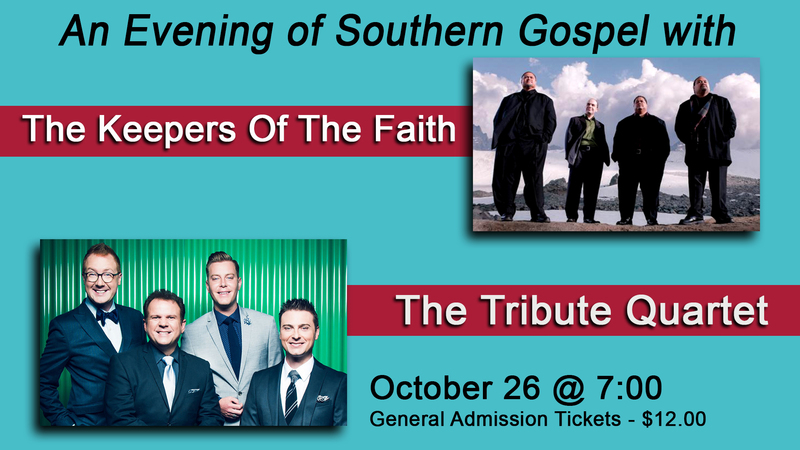 Come, enjoy Southern Gospel music on Friday, October 26 at 7 pm. Back by popular demand, The Keepers of the Faith, an acapella quartet with rich harmony, returns to South. Also coming to South, Tribute Quartet, an award winning, nationally known group. Tickets are $12 and can be purchased in the concourse or in the church office during the week.